The latest Ericsson (NASDAQ:ERIC) Mobility Report reveals for the first time that the number of active cellular M2M devices will increase 3-4 times by 2019, from 200 million at the end of 2013. While the majority of cellular M2M devices today are still GSM-only, that is expected to shift by 2016 when 3G/4G will represent the majority of active cellular M2M subscriptions. Rima Qureshi, Senior Vice President and Ericsson's Chief Strategy Officer, says: "We see cellular M2M taking off. Over time, cellular M2M services and applications related to, for example, intelligent transport systems, will require very short latency in order to be efficient. 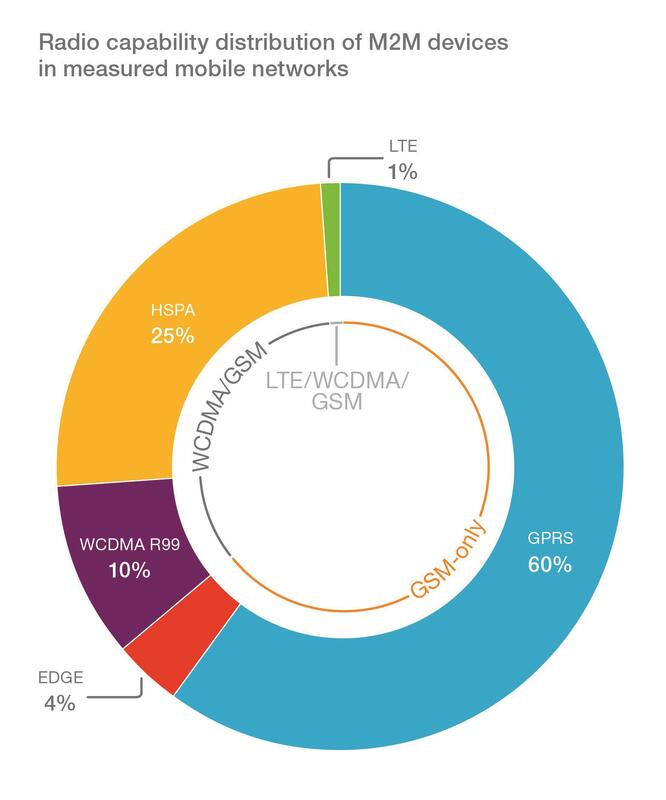 By 2019 we estimate that more than 20 percent of the active cellular M2M devices will be connected to LTE subscriptions. We also see new device-to-device and M2M applications as a key focus of 5G networks." 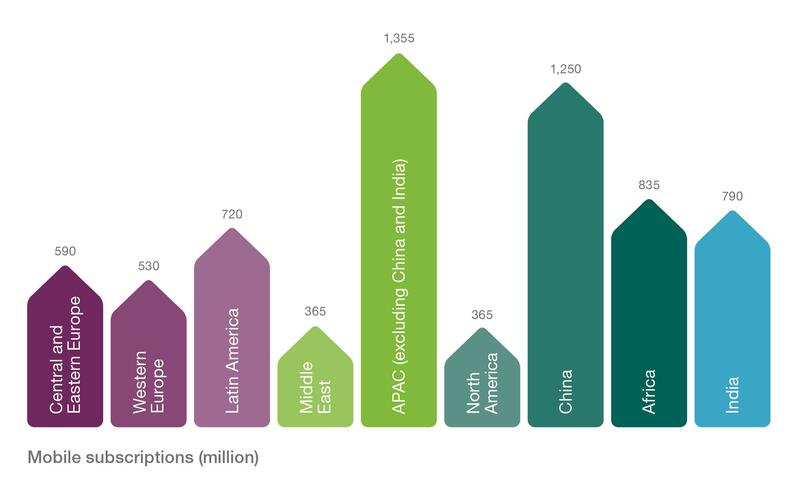 Next year the total number of mobile subscriptions will exceed the world's population. 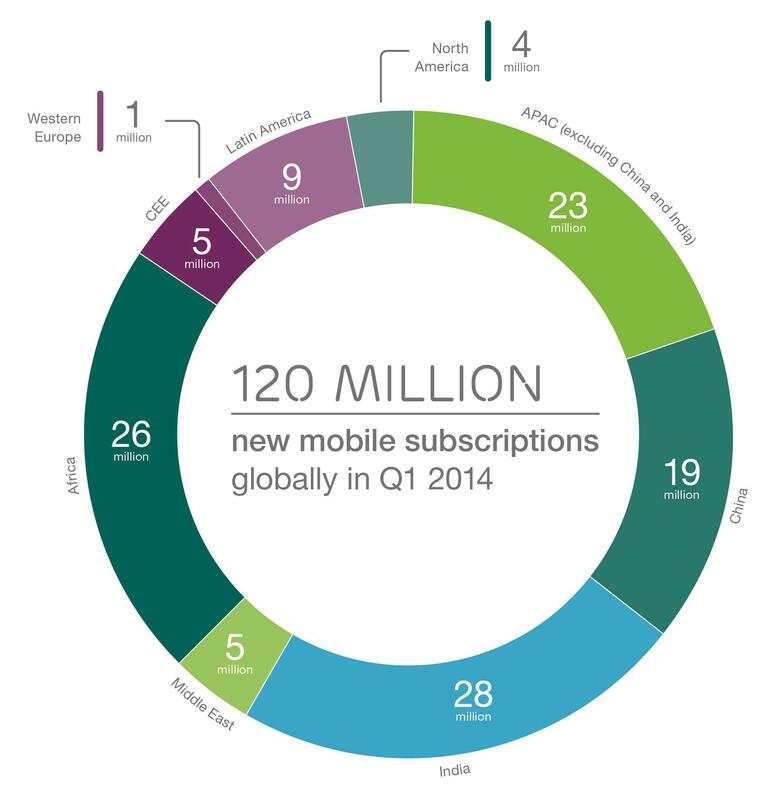 Mobile subscriptions have grown by 7 percent year-over-year, with 120 million net additions in Q1 alone. 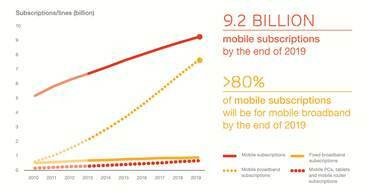 Mobile broadband subscriptions also continue to grow and will reach 7.6 billion by the end of 2019, representing more than 80 percent of total mobile subscriptions. 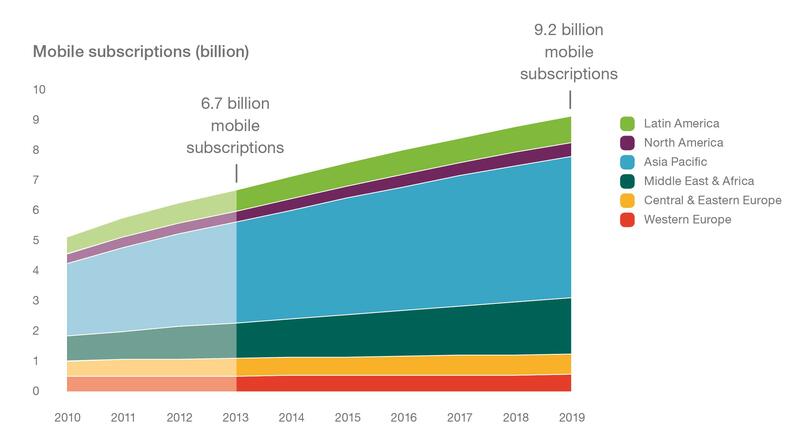 In two years' time, in 2016, the number of smartphone subscriptions will exceed those for basic phones and by 2019 the number of smartphone subscriptions is expected to reach 5.6 billion. In Europe, the number of smartphone subscriptions will reach about 765 million in 2019 and thereby exceed the population number. 65 percent of all phones sold in Q1 2014 were smartphones. Compared to today, a smartphone user in 2019 is expected to consume almost four times the amount of mobile data per month. This contributes to the 10-fold growth prediction in mobile data traffic between 2013 and 2019. Qureshi says: "The growth and the evolution in M2M and the 10-fold growth in mobile data traffic strengthen the emphasis on network performance, handling complexity and maximizing the user experience. This in turn puts even higher requirements across the networks and the operations and business support systems of the future." 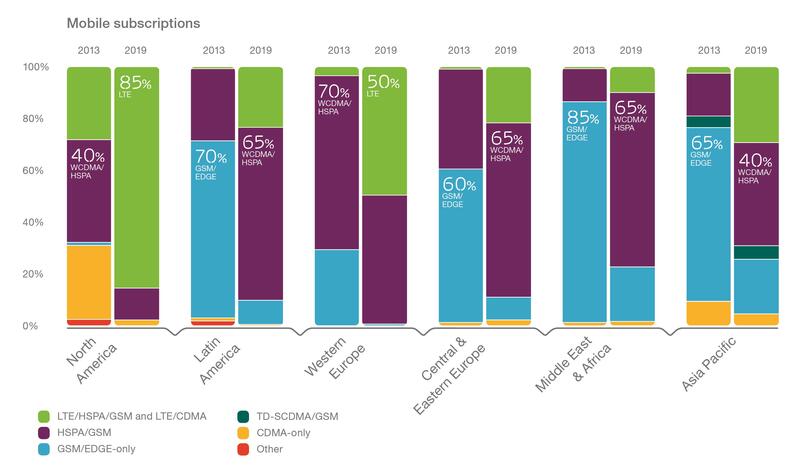 In 2019, LTE population coverage in Europe will be around 80 percent, but Europe will only see LTE subscription penetration of 30 percent compared to 85 percent in North America the same year. Even within Europe there will be large differences between Western Europe and Central and Eastern Europe. Population coverage for LTE in North East Asia is expected to be 95 percent by 2019, with LTE penetration levels at 45 percent. By the same year, China is expected to reach over 700 million LTE subscriptions, representing more than 25 percent of total global subscriptions for LTE. 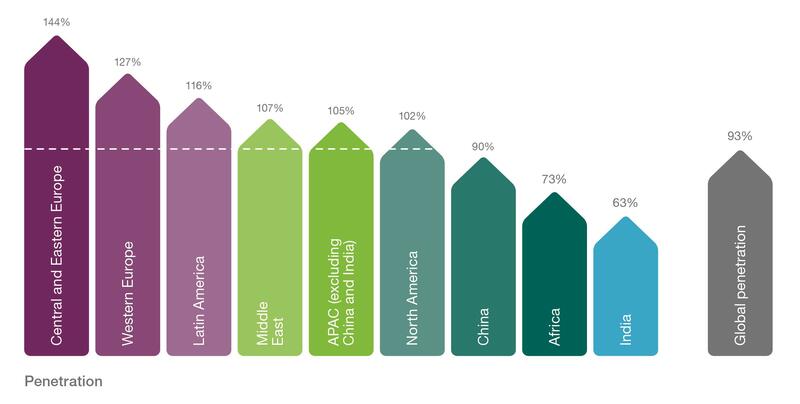 This edition of Ericsson Mobility Report includes further analysis of how one solution to cater for the rising traffic levels and app requirements is to evolve mobile broadband networks into heterogeneous networks that leverage an evolved macro cell layer complemented with integrated small cells. To accompany the Ericsson Mobility Report, Ericsson has created the Traffic Exploration Tool, for creating customized graphs and tables using data from the report. The information can be filtered by region, subscription, technology, traffic and device type. Ericsson has performed in-depth data traffic measurements in mobile networks from the world's largest installed base of live networks. These measurements have been collected from all regions since the early days of mobile broadband.